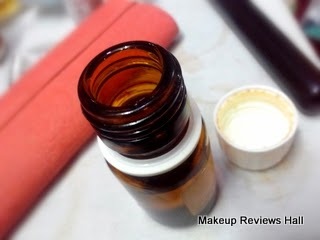 TALA Ant Egg Oil Review - Permanent Hair Removal Oil. Tala Ant Egg Oil - Hair Reducing Product. HAIR REMOVAL is one of the biggest problem in a girl's life. We girl's keep trying different methods like hair removal creams, hair removing waxing strips, epilators and what not to remove these unwanted hair our at least reduce their amount and frequency of regrowth. Still we face several problems like pimples after hair removal on wax, irritation and rashes even on simplest pain free hair removal through razor. So I wanted something which could get me permanent hair removal, not through Laser since its bit expensive.Tala Ant Egg Oil came as a solution to this unavoidable hair problem of ours. I saw this Tala Hair Reducing Oil at eBay, which claims to decrease hair growth with time by killing hair cells completely and that's when I decided to give this a try. I ordered this Ant Egg Oil from eBay since it was available with the least international shipping there. Other than that its also available at Amazon and at its official site. Ant Egg Oil is a hair reducing product not for hair removal. It is absolute and permanent solution to unwanted hairs. Our products contain a very unique protein which destroys the root of the hair permanently. 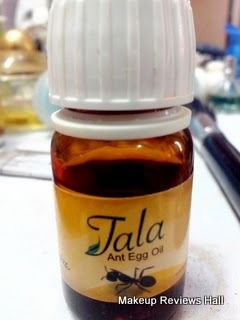 Tala Ant Egg Oil, effect was proven in laboratory experiments with doctors. This protein does not hurt your body functions or your skin. It has been the most useful hair reducing product for women and men for centuries in Asia and the Middle East. Because of its painless (also cheap) and very easy use against hair on your body which you don’t want to have. The product is based on the time history of the Ottoman Empire. Tala is produced in Turkey. There are two kind of products in the form of cream and oil. Both of them have the same effect. As you know; cream is solid, oil is liquid so cream is more easier to use. But they have same effect. You could use Tala Ant Egg Oil at every age and every areas of your body. You could also use our product on babies’ armpits or genital area, they will never have hair problems in their whole life. With continuous use of these ant egg oil or cream products, adult people will solve their hairs problem. Ant Egg Oil Use - How to Use? Depilate to the root of the hair with classic methods (wax, tweezers, epilation). 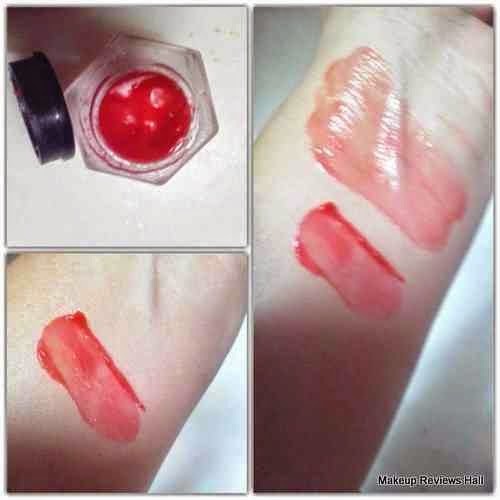 After you have cleaned the area, put the product on the clean area and massage for about 10 minutes. 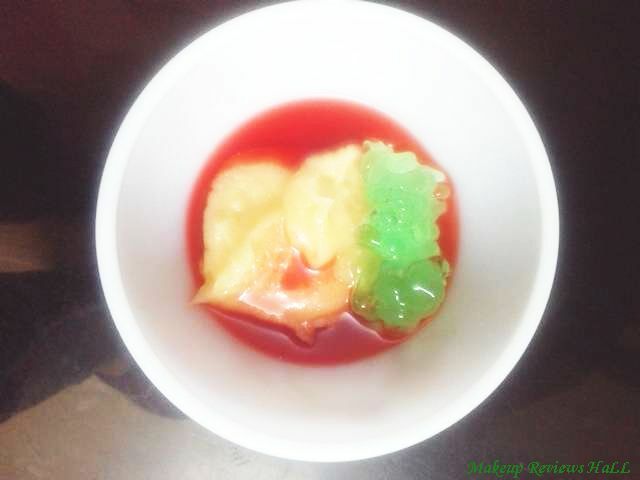 INGREDIENTS : Herbal Oil, Ant Egg Oil. Ant egg oil products are absolutely working and fulfilling their function. It may not be ethical that the ant egg oil is 100% effective to get rid of unwanted hairs. It is known that even the most powerful medicine also may not show the same impact on everyone. Amount of a medicine’s impact on person can change from an individual to another one. Yet, thousands of people had benefited from our products very clearly till today. You could see the decrease in density of hair starting from the first use, very clearly. 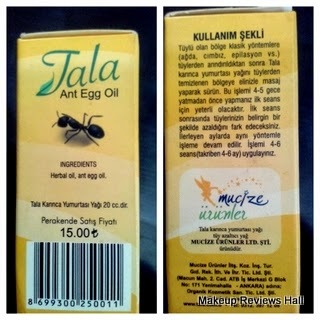 Tala Ant Egg Oil is produced in Turkey. It contains 100% natural ant oil, that’s why you could use our product on your face and even the most sensitive areas of your body. It doesn’t have any side effects.1 or 2 bottles of ant oil are enough to solve your complete facial hair problems. The most important thing is Tala Ant Egg Oil (Hair reducing cream) can not be produced in laboratories because of the unique protein. There are lots of fake ant egg oil products so you should buy original ant egg oil. This Tala Ant Oil comes in a small transparent glass bottle with a very simple packaging, no flip or squeezer for easy usage. The bottle is light brown in color with the pictures of ANTS on it as the name suggests. The oil has normal consistency like any other oil. 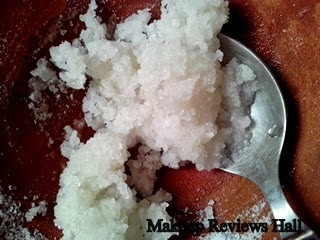 It's not too light but has a slightly thicker consistency. 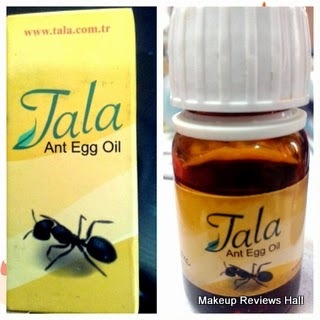 HOW TO USE TALA ANT EGG OIL? 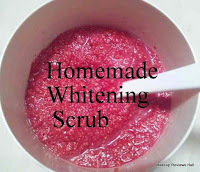 The oil has to be applied directly on the skin which is hair free and had been nicely waxed or epilated. Hair removal should be done through proper waxing or epilation and not using hair removal cream or powders which only removes hair topically and not pulls them from root. 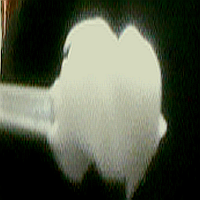 After proper hair removal, the oil has to be applied directly on the skin area, rubbed gently for few minutes and leave. This application process needs to be continued for 4 - 5 nights after wax. Then this process needs to be repeated every month or whenever you remove hair and continued for few months till you see a noticeable difference. One might take 4 -6 months depending on the hair growth and regrowth frequency. Though they claims to see thinning of hair after first usage but I haven't seen any difference yet, so I will try few more times before coming to any conclusion. I have used this oil on my armpits just 2 times, 4-5 consecutive days on underarms after hair removal last month and 4-5 days this month after epilation using Philips Epilator. Till now I'm not seeing much of a difference but will update the review and the overall results and experience once I use it few more times as suggested. 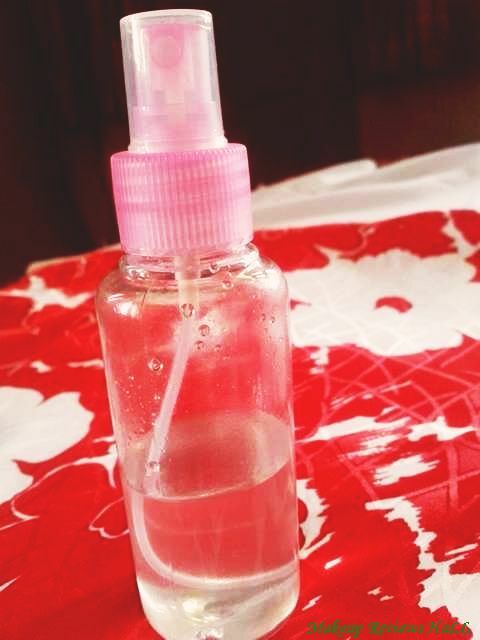 Till then let me know if this Tala Ant Egg Hair Removal Oil s used by you and how satisfied are you with the results. Claims to reduce hair growth with time. Claims to kill hair cells. Pain free easy hair reduction method. Available at international shopping sites like Amazon, E Bay for shipping to India. WAXING. Hip Hop Waxing Hair Removing. Hair Removal. Labels: Hair Reducing Product. Tala Oil Review, Permanent Hair Removal Oil, TALA, Tala Ant Egg Oil Review, WAXING. Hip Hop Waxing Hair Removing. Hair Removal. This is something which i have heard for the first time. interesting ! Seeing ant oil concept first time ever. I was in Turkey for a vacation & I had read a lot about the specials but never came across this!!! Did you see any good results? Would love if you share your current experience... if it worked or not! Ruby let me know if u know anything about this ant oil is it for real? is it usefull ?? kindly reply . Friends this oil is not so good and it don't give any miracles but it is just ok product.. Before application of oil.. Must wax the skin and should remove hair from roots after you can apply friends.. Actually I got this product in Amazon for my sister 20ml for 1100 but it is not affected well but after applying this oil hair become lighten and it changed skin very rough.. For permanent hair removal it is ok but coming to side effects it will make your skin rough.. Personally i think ant oil is a bad idea in my opinion. After I realized except laser treatment no other medicines and oils will remove hair permanently without side effects.... And one more thing this blog is very informative.. Keep posting @admin. Tq guys.. I am using it under my armpit. The first 2 months I could see just a bit less of hair but I was not sure if it was just my impression. I continued to use it with trust and by now, 10 months later, my armpit hair are almost gone and the ones remaining are very thin. I can say that I am very satisfied. I bought the bottles from e-bay where the price is cheap! Does it removed hair permanently?? Hi..my name is deepthi from hyderabad.this week i bought this product by online. I got th expiry bottle and trying to reach dealer who deliver this product.but no response from them. they are not picking my call and not replying to my msg.please call to 9966263377. Hair removal are problem faced by majority of women as well as men but now everything is so advanced that we have a solution to every problem. 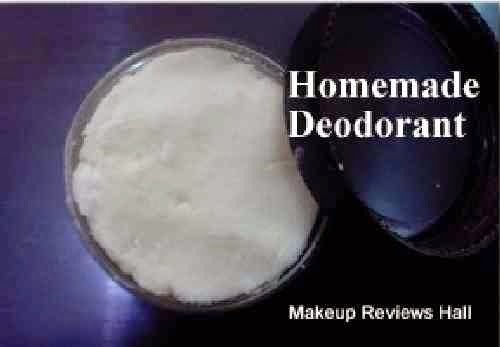 The stuff seems great and I would love to use this but I'm not sure about it as I had never used it in my lifetime and at the present time I'm using dermology hair removal cream it was recommended by my doctor and the results are just awesome. It made my skin soft and clear.